Matt Ridley, writing in Wired, exposes the end-of-the-world cultism that infects environmental activism, and shows how in almost every case, they got it spectacularly wrong. From SARS to mad cow disease to acid rain to ozone holes, the environmentalists cannot resist the temptation to invoke apocalyptic prophesies to scare the public witless (and secure more funding perhaps?). and the public becomes ever more cynical and untrusting of such prophesies in the future. In the climate debate, the extraordinary hysteria of the alarmists has polarised the debate to such an extent that outright denial (no matter how irrational) has sprung up almost out of necessity to counter it. Balanced elucidation of a potential crisis usually results in balanced responses – frenzied Chicken Little rants will inevitably result in precisely the same in response. So, should we worry or not about the warming climate? It is far too binary a question. The lesson of failed past predictions of ecological apocalypse is not that nothing was happening but that the middle-ground possibilities were too frequently excluded from consideration. In the climate debate, we hear a lot from those who think disaster is inexorable if not inevitable, and a lot from those who think it is all a hoax. We hardly ever allow the moderate “lukewarmers” a voice: those who suspect that the net positive feedbacks from water vapor in the atmosphere are low, so that we face only 1 to 2 degrees Celsius of warming this century; that the Greenland ice sheet may melt but no faster than its current rate of less than 1 percent per century; that net increases in rainfall (and carbon dioxide concentration) may improve agricultural productivity; that ecosystems have survived sudden temperature lurches before; and that adaptation to gradual change may be both cheaper and less ecologically damaging than a rapid and brutal decision to give up fossil fuels cold turkey. We’ve already seen some evidence that humans can forestall warming-related catastrophes. A good example is malaria, which was once widely predicted to get worse as a result of climate change. Yet in the 20th century, malaria retreated from large parts of the world, including North America and Russia, even as the world warmed. Malaria-specific mortality plummeted in the first decade of the current century by an astonishing 25 percent. The weather may well have grown more hospitable to mosquitoes during that time. But any effects of warming were more than counteracted by pesticides, new antimalarial drugs, better drainage, and economic development. Experts such as Peter Gething at Oxford argue that these trends will continue, whatever the weather. Just as policy can make the climate crisis worse—mandating biofuels has not only encouraged rain forest destruction, releasing carbon, but driven millions into poverty and hunger—technology can make it better. If plant breeders boost rice yields, then people may get richer and afford better protection against extreme weather. If nuclear engineers make fusion (or thorium fission) cost-effective, then carbon emissions may suddenly fall. If gas replaces coal because of horizontal drilling, then carbon emissions may rise more slowly. Humanity is a fast-moving target. We will combat our ecological threats in the future by innovating to meet them as they arise, not through the mass fear stoked by worst-case scenarios. Read it all, and enjoy Ridley’s list of apocalyptic predictions that didn’t come to pass. 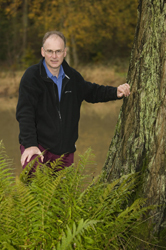 Matt Ridley blogs at Rational Optimist. That rhetorical question is hardly new – of course it is. Dear Jane: I have no idea what you’re trying to say, and I suspect you don’t either. The planet today is far cleaner (at least in Western influenced areas) than it ever has been in the past. Nobody is against pollution control, we’re just against calling the life giving, plant fertilizer, planet stabilizing gas called CO2 a pollutant. I suggest that we need far more CO2 than is currently in the atmosphere. Better yet, you can’t prove me wrong on any number of real scientific areas. Jane, you’re polluting the English language with your poor spelling. Start by cleaning that up and then you might be able to convince people that you are at least literate. The never ending string of boogiemen continues. All for the purpose of consolidating political and/or religious power over the unthinking masses and relieving them (us )of our hard earned money. I’ll bet PT Barnum wishes he’d have thought this climate change/global warming/peak whatever/ overpopulation/ save the owls/ crap up.